The New York Knicks may be having issues with the triangle offense and their defense but they are still making dreams come true. During a break in action against the Brooklyn Nets on Wednesday, the Knicks utilized the time by honoring United States Army Retired Sergeant First Class Luciano Yulfo, who served the country for 36 years. 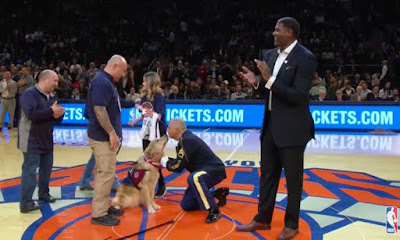 The Knicks presented Yulfo with a custom jersey and former All-Star Larry Johnson was on hand to thank the retired sergeant for his service. 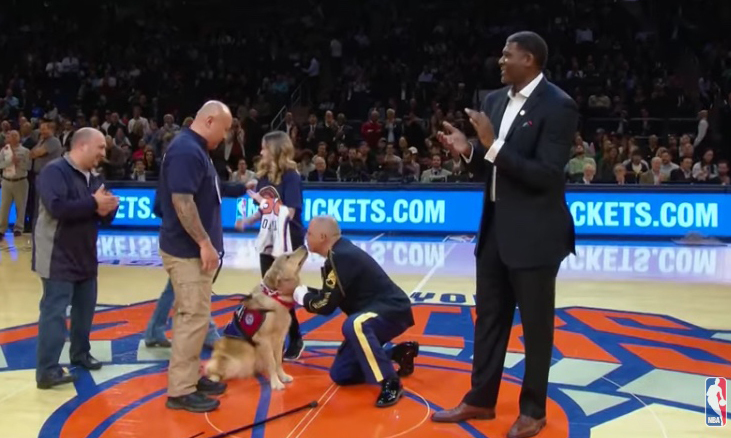 But then the Knicks made the moment even more special for Yulfo as they surprised him with a service dog, which he has been waiting to get for 18 months.